On Friday October 14th, 2016 NAGE was informed of the Baker Administration plans to offer buy outs to over 42,000 Executive Branch employees, a move that would save the Bay State almost $300 million. NAGE National President David J. Holway was asked to weigh in on the potential cuts. Please read the article from the Boston Herald that ran on October 15, 2016. Gov. Charlie Baker’s plan to offer buyouts to tens of thousands of state employees — with the potential of layoffs to follow — is refueling his bitter standoff with labor bosses, who warned that the efforts to close a near-$300 million budget gap could cut into the bones of state government. “We’re working with a minimal workforce as it is. How many more employees can we afford to lose?” said David Holway, president of the National Association of Government Employees, which represents thousands of state workers. Holway called buyouts a “humane first step” but warned the administration of cutting too deep. Baker’s budget office announced it’s staring down a $294 million budget gap, fueled largely by tax revenues that are estimated to fall $175 million below forecasts. To close it, his budget chief Kristen Lepore is looking at potential cuts she said could lower state spending by 1 percent. As part of that, officials will offer buyouts to roughly 42,000 employees starting on Monday. The roughly 12,000 retirement-eligible employees could get a $15,000 cash incentive, while 30,000 other executive branch workers would get a $5,000 buyout to quit their job. Only employees at the beleaguered Department of Children and Families are not eligible, according to Baker aides. But layoffs, they warned, could follow elsewhere. Baker is already locked into a public battle with unions, most notably the Carmen’s Union, Local 589, the MBTA’s largest labor group, which has railed against plans to privatize parts of the cash-strapped transportation agency. Police arrested seven Carmen’s members, including president Jim O’Brien, last week when authorities say they chained and padlocked a fence to prevent trucks from leaving the T’s “money room.” Hours later, officials voted to outsource its operations to a private company. A union representing MBTA janitors has also decried a contract option that cost dozens of workers their jobs. And Baker’s ardent backing of a ballot question that would lift the cap on state charter schools has pitted him against the state’s boisterous Massachusetts Teachers Association. Budget officials didn’t say yesterday where they could specifically cut to close the gap, nor do they detail the savings they hope to reach with the buyouts. But they said they will not offer furloughs, nor do they intend to offer an early retirement program as they did last year. 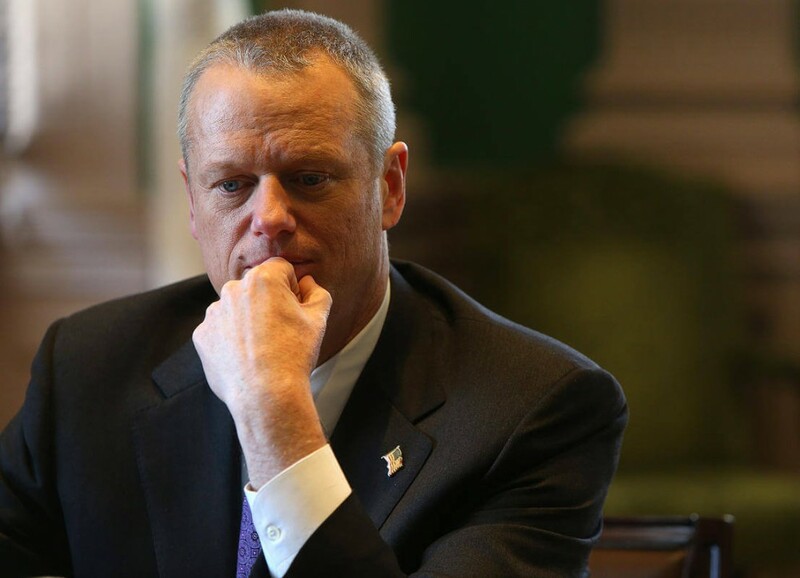 But Eileen McAnneny, who heads the Massachusetts Taxpayers Foundation, said that even that program didn’t give Baker the savings he hoped. Roughly 2,500 employees ultimately bit on the deal, far less than the 4,500 the administration had estimated. It ultimately saved about $126 million, or $46 million less than officials projected.